Butterfly gardening has become popular in recent years. Butterflies and other pollinators are finally being recognized for the important role they play in ecology. Gardeners all over the world are creating safe habitats for butterflies. With the right plants, you can create your own butterfly garden. 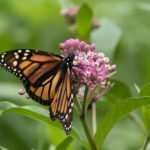 Read on to learn more about the best plants for attracting butterflies and butterfly host plants. To create a butterfly garden, you’ll need to select an area in full sun and sheltered from high winds. This area should be designated only for butterflies and should not have birdhouses, baths or feeders in it. However, butterflies do like to bathe themselves and drink from shallow puddles of water, so it helps to add a small shallow butterfly bath and feeder. This can be a small dish or a bowl shaped rock placed on the ground. Butterflies also like to sun themselves on dark rocks or reflective surfaces, like gazing balls. This helps heat up and dry out their wings so they can fly properly. Most importantly, never use pesticides in a butterfly garden. There are many plants and weeds that attract butterflies. Butterflies have good vision and are attracted to large groups of brightly colored flowers. They are also attracted to strong scented flower nectar. Butterflies tend to favor plants with flower clusters or large flowers so that they can land safely for a while sucking the sweet nectar out. Butterflies are active from spring until frost, so pay attention to plant bloom times so they will able to enjoy nectar from your butterfly garden all season. As Antoine de Saint-Exupery said in The Little Prince, “Well, I must endure the presence of a few caterpillars, if I wish to become acquainted with the butterflies.” It is not enough to just have plants and weeds that attract butterflies. You will also need to include plants for butterfly eggs and larvae in your butterfly garden too. Butterfly host plants are the specific plants that butterflies lay their eggs on or near so that their caterpillar larvae can eat the plant before forming its chrysalis. These plants are basically sacrificial plants that you add to the garden and allow the caterpillars to feast on and grow into healthy butterflies. 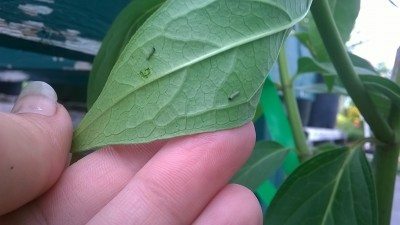 After hatching from their eggs, caterpillars will spend their entire larval stage eating the leaves of their host plants until they are ready to make their chrysalis and become butterflies. Some butterfly host plants are trees. 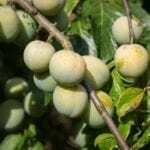 In these cases, you can try dwarf varieties of fruit or flowering trees or simply locate your butterfly garden near one of these larger trees. 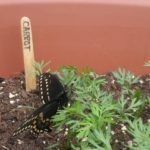 With the proper balance of plants and weeds that attract butterflies and butterfly host plants, you can create a successful butterfly garden.